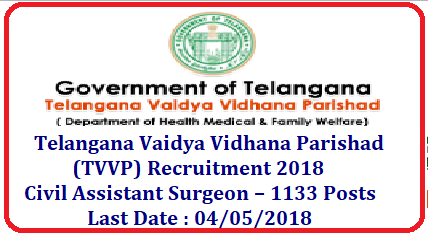 Post Name : Civil Assistant Surgeon – 1133 Posts..
No.Of Vacancy : 1133 Posts. Educational Criteria : Candidates are eligible who have passed Post Graduate Degree/Diploma and relevant experience. Age Criteria : Candidates age limit should to be 18 – 30 as on 19-March-2018. Last Date : 04/05/2018 is the last date to apply.